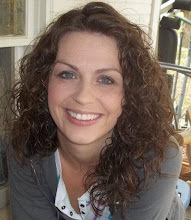 Blurb: Emma’s struggle with an abusive home life came to a heart pounding conclusion in the final chapters of Reason to Breathe. Now everyone in Weslyn knows Emma’s secret, but Carol can’t hurt Emma anymore. Some are still haunted by the horror of that night, and some must face the repercussions of their choices. 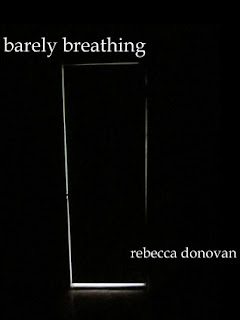 Fans of Rebecca Donovan’s debut novel will discover there’s still much to learn about Emma’s life. Nobody panic! I got to start this without hyperventilating I promise! It was a close call but I made it! WOW! and what a rush it was! It's like 5 o'clock in the morning and I just finished Barely Breathing about 20 minutes ago and my heart is still pounding! I tried to go to bed but, I just couldn't fall asleep, because I still have an adrenaline rush and can't stop thinking about this book! So I decided since I couldn't fall asleep I might as well get back up and start on my review. Let me just tell you! DRAMA! Drama, Drama, and more drama! 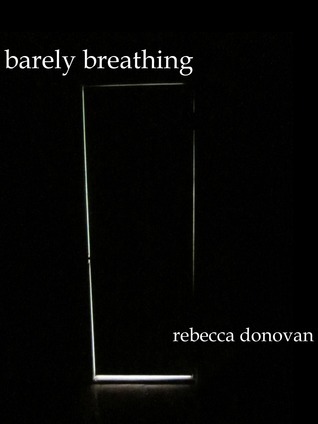 Rebecca Donovan has left us with another CLIFFHANGER! I don't know if shes trying to kill me or what! (ughhhhh!) Anyways this book has so many twist and turns that it kept me on the edge of my seat form start to finish! I couldn't have put this book down to save my life! When I first started it and all the drama started to calm down (and I could finally breath again!) I thought "what more could happen to Emma?" Well lets just say I found my REASON TO BREATHE! Yes the second book in The Breathing Series is awesome! I think it may just be better then the first one! Oh the drama! Did I mention that I just LOVE drama!